Posts Tagged "Social Media Tips"
The session began by discussing self publishing, or artisanal publishing as Guy refers to it. After publishing What the Plus himself, he decided to write his newest book, Ape, to discuss the process. Guy used social media for feedback and reviews by sending out the outline, and later his full manuscript draft, for his book to “4 million of my closest friends,” as he referred to his followers. He would never have been able to do so with traditional publishing. Self-publishing allows you freedom to do things like sending your content to followers before it is published. With self publishing, the writer has complete control over the book from beginning to end, but that also comes with all the responsibility and risk. Remember, Guy has a huge audience, so he’s able to self-publish and try new things while still knowing that he will sell a healthy number of books. If you don’t have this massive following yet, self-publishing might not be as successful for you. However, don’t overlook this as an option, especially due to the freedoms self-publishing affords you. Of course, during his keynote, Guy also spoke about a number of other topics as well. Did you know that all of our keynotes have been live-streamed and archived? Head over to NMX University to see our keynotes and additional bonus content live from the show. 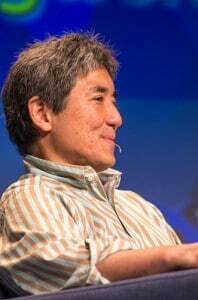 About Guy: Guy Kawasaki is the author of APE, What the Plus!, Enchantment, and nine other books. He is also the co-founder of Alltop.com, an “online magazine rack” of popular topics on the web. Previously, he was the chief evangelist of Apple. Kawasaki has a BA from Stanford University and an MBA from UCLA as well as an honorary doctorate from Babson College. If consumers are already aware of your brand, how do you take it to the next level? What is necessary to develop a relationship where the consumer chooses your company as their preferred source for valuable information, research and knowledge to help them make an informed purchasing decision? At CENTURY 21, we’re leveraging new media to engage our target audience. Through sponsorships of events like BlogWorld & New Media Expo, Inman Real Estate Connect, and Agent Reboot, the CENTURY 21 Brand is reaching the next generation of home buyers, sellers, agents and entrepreneurs. 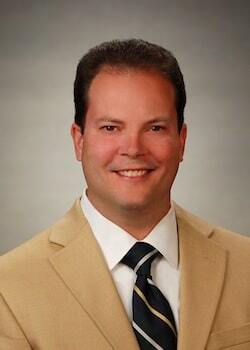 Business is about building and maintaining a mutually beneficial relationship. It involves the same types of decisions that we make every single day: WIFM – What’s In It for Me? Whether consciously or sub-consciously, we are always evaluating what is best for ourselves. Today’s consumers, who often check location based services and rating sites like Yelp.com before reading the ‘About Us’ section of a company’s website, want to know more about the products and services they are using. It is important for consumers to know where a company stands on philanthropy and what type of value-add they are going to receive by establishing a relationship with a particular brand or product. Delivering valuable content via mobile and social channels enables the relationship between the brand and the consumer to grow over time. 1) Listen – Use new media to listen to your target audience’s wants and needs. Respond where you can with timely, relevant resources and plan to share content via your corporate channels that address this feedback. 2) Keep it fresh – Share content each day that is new and topical. Consumers will come to regard your company as the sources for breaking news in your industry. 3) Make it local – If you live in New York, you don’t want to hear about what’s going on Boulder. Have local representatives and experts offer advice to their own, local communities through your channels. 4) Embrace the new – Did you ever think your company would have a mobile app? Or put QR codes on signs? Whether you planned for it or not, these are the technologies of the future and it’s critical to become educated on how best to offer these convenient upgrades to consumers. 5) Build relationships – Use new media to engage with consumers. Really get to know your audience and the individuals reaching out to you via these new types of media. Your best brand advocate might be a tweet away! To learn more about how CENTURY 21 is using new media to reach the next generation of home buyers, sellers, agents and entrepreneurs, visit our website, blog, Facebook page or follow our tweets. Matt Gentile directs public relations and social media content strategy for Century 21 Real Estate LLC, the world’s largest residential real estate sales organization. In this role, he promotes approximately 7,900 independently owned and operated franchised brokerage offices and 119,000 sales associates in 68 countries and territories worldwide. They say that if you do what you like, you’ll never work a day in your life. That statement might be truer than you think – especially if the “where” is online. Online Community Managers, aside for creating excitement around their brands, spend quite a lot of their free time online, too. After a while, many of us find that our work time either eclipses our play time, or that they just bleed into each other and you end up trying to do both at once. And that’s never a good idea. So here are some simple ideas I’ve put into practice over the past few months on how to be productive even if you work and play online! They’re all stuff I picked up from regularly-read blogs like Mashable and TechCrunch – you know, those “How to Be Productive…” type articles. Just a disclaimer: I am an unorganized mess if I don’t give myself rules. So if I can do it – anyone can! According to Scott Belsky, CEO of Behance, two checklists need to be written up just to organize your work. These two checklists are both work-related but in different ways. One Checklist simply states “To Do: Urgent,” and the other “To Do: Long Term.” This is extremely important. As I mentioned, I’m a mess when it comes to organizing myself on my own terms. SO when I read those tips from Scott Belsky on the Mashable blog, I decided to give them a go. “What’s the harm?” I thought. And not only was there no harm – I became more productive, and didn’t have to remember everything all at once as equally important in my mind! After putting everything into lists, I realized that the Tribeca Film Festival can be done next week, the conference stuff had to wait ’till Monday anyway, and the parade arrangements were due Tuesday of next week. So those three went straight to my “Long Term” list, and on Monday, I was going to rearrange my lists to fit the new week! The marketing plans and launch plans all moved over to the “Urgent” list, as we’re going to run our PR campaign on Monday! 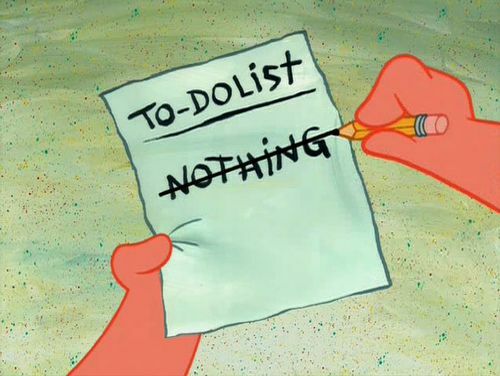 And that’s it – it became immediately apparent that I should work on the Urgent list first, and then, if there was time, I would move on to the Long Term list! Now that you have your work priorities in order, and you’ve done all of the work – or all of the Urgent work, and some of the Long Term work. Now you finally have downtime. You can breathe a huge sigh of relief and relax. But wait – you have errands to run, emails to send, phone calls to make. What now? Where to start? Well since it’s definitely more relaxing to do your leisure obligations than your work obligations, the Urgent/Long Term stuff isn’t really necessary. 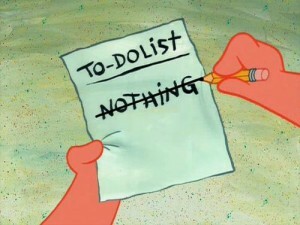 In stead, just make a list of things you need to do when you’re not working, and when you have a free moment/hour. Call your wife/hubby! Reply to that email you saw earlier today and jotted down on the list! Check and use Twitter/Facebook for exactly 10 minutes. Whatever’s on your list will more likely get done if it’s on a list than if it’s floating in your head. Feel free to cross it off after you’ve done every single one of them. I don’t know about you, but I am a tab man. I walk in to work and I have at least 8 tabs open before I make my first cup of coffee. Here’s how it used to go: Gmail > Work Email > Twitter > Facebook > Work related website > Digg > Work related site > Joke someone sent me by email. Good luck trying to keep only to your work when your tabs are interwoven, and mostly just play-stuff. Leave the tabs alone. As a matter of fact, leave the separate windows alone. You’re really fooling yourself if you think you’re going to keep organized that way. Instead, think of the windows of time as the organizing units in your day. Once you’re done with the “To Do: Urgent” and “To Do: Long Term” tabs, you can close your “Work” window and open a “Fun” window! So it ain’t rocket science. All I’ve done to get myself organized is not give myself any credit for remembering/multitasking/organizing. That gave me an airtight action plan to get myself out of the check-Twitter-every-few-minutes, work-on-my-actual-work-sporadically rut! Bottom line is – you’ll feel accomplished. Try it! Itamar Kestenbaum is a blogger and Community Manager. He is currently Community Manager for Moishe’s Moving & Storage in NYC as well as Blogworld Expo. You can follow Itamar on Twitter @tweetamar or read his blog: ItamarKestenbaum.com.